I have a 2003 MDX, On a cold start, it doesn't go into drive until about a minute of warm up. Will go into reverse. When you say it doesn't go into drive is it the shifter not coming out of park or is it going into drive and not doing anything? Have you checked out the fluid yet? The fluid color is red not dark? I'm not the mechanic, but my guy Joe didn't bring that up. He had it on the computer and was getting at 84-1 code. His thought is it might need a VSA module (thinking that if the computer was messed up, it might mess the transmission). I guess what I was wondering is what parts could be involved if the transmission works fine once things are warmed up or once the pressure is up. The dealer just wants to put a new trans in, and I'm worried that there might be a different issue. What that the only code? That was the code that showed up at the local shop. They didn't want to order parts in case that didn't fix it, so they had me bring it to the dealer. Now that it is at the dealer, I don't get very good info. After looking at that VSA code I think that's your problem actually so don't worry about my previous questions. The first step to fixing this problem is to do the VSA neutral position memorization procedure. I can upload the instructions for your tech if you want if this hasn't been done. The instructions are for dealer techs so your mechanic will need a scan tool to short the SCS circuit. I'm not sure which your guy has so I'll upload the factory info and let him try. If his scan tool won't do it from the menu on the tool he can leave his tool plugged into the DLC and manually jump the DLC pins from behind and short the SCS circuit. See this Snap-on file which explains it figure 8-13. 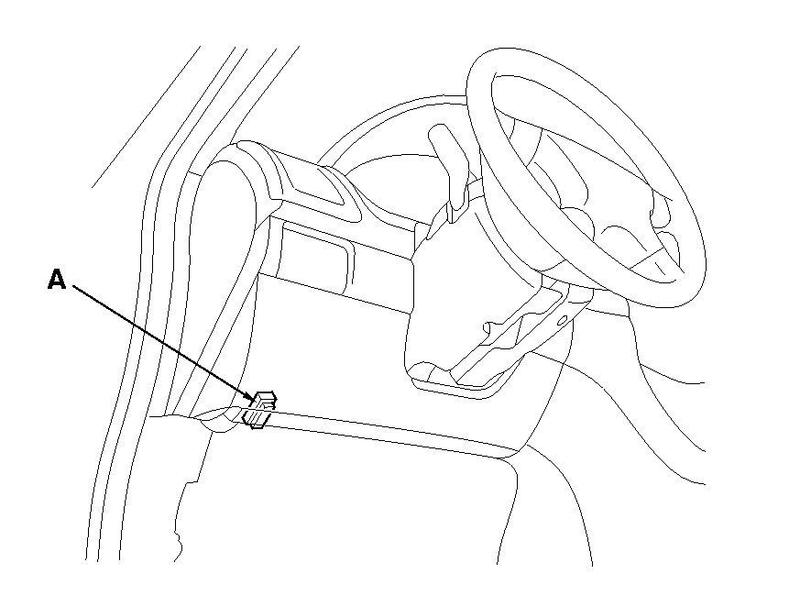 With the ignition switch OFF, connect the HDS to the 16P date link connector (DLC) (A) under the left side of the driver's dashboard. Short the SCS circuit to body ground using the HDS. Make sure the vehicle is parked on a level surface. Do not touch the brake pedal during step 5 through 10. The ABS indicator comes on for 2 seconds and goes off. After the ABS indicator goes off, push the VSA OFF switch once within 2 seconds. After the ABS indicator comes on, push the VSA OFF switch once within 2 seconds. The VSA activation indicator blinks and the system starts VSA sensors neutral position memorization. When the ABS indicator, VSA indicator, and VSA activation indicator go off, the memorizing is done. If the indicators do not go off, retry these steps. I don't know if it will fix it but I'm thinking it may. I don't know why the dealer isn't trying this and just recommending a transmission but let's try this first and see. Mu Acura MDX engine shutdown during driving. 175K. MDX 2005.